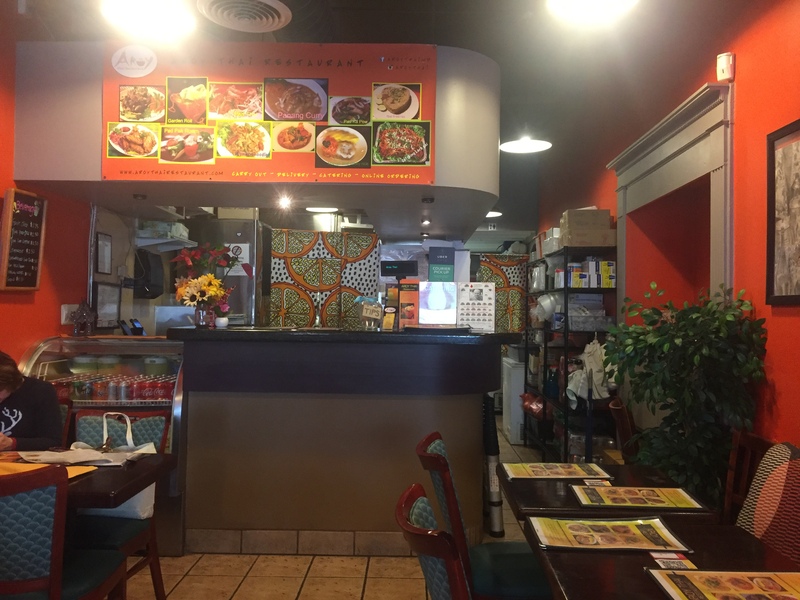 If you’re a fan of Thai food, College Park offers Aroy Thai Restaurant. It is a wonderful local establishment on College Avenue next to Numi Yoga and across from Target Express. Not far from the southern entrance to the University campus, it provides authentic Thai cuisine. As a slightly smaller space than surrounding restaurants, this spot is a cozy place for a date night or more intimate meals with one or two friends. The menu offers a wide selection of classic Thai dishes, including fried rice, noodles, vegetable stir fry, and curry. On weekdays, customers can purchase an appetizer, entree, and drink for only $10.95 during their daily lunch special.Fortunately for vegetarians and vegans, there are so many options—you can add tofu to your dish or substitute it for meat, and simply ask your server to omit fish sauce! If you’re having trouble deciding what to order, the staff are highly knowledgeable about the menu, and they will be happy to make suggestions. If the delectable food itself hasn’t convinced you yet, the atmosphere is very friendly, and the service is impressively fast. Of course, if you don’t have time to come in to the restaurant, Aroy Thai also offers carry out, delivery, and catering for large events. Their hours are 11:30 am -10:00 pm Monday-Friday, and noon-10:00 pm on weekends. 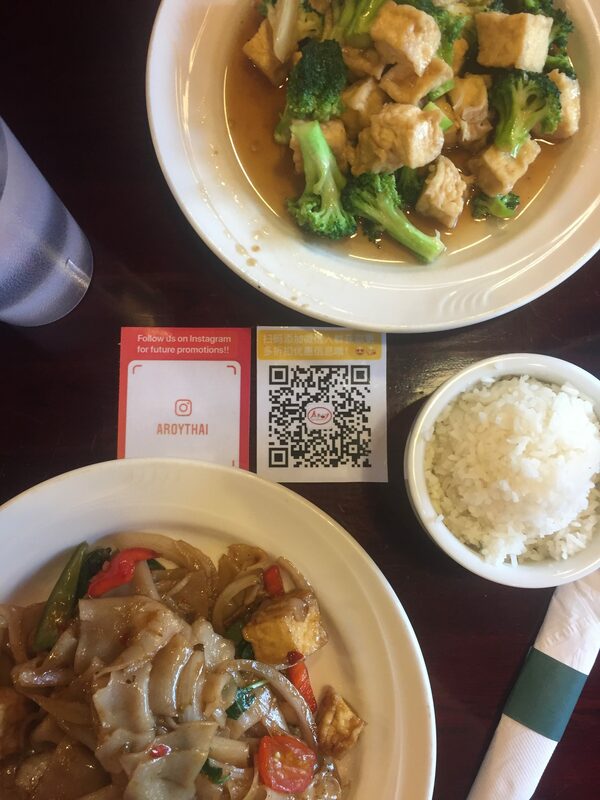 Next time you’re craving authentic Thai cuisine, be sure to check it out!